How Lithuania got its name is a bit of a mystery. The best theory comes from the name of the River Lietava, a tributary of the Neris. The people call their country Lietuva. The first recorded name of Lithuania was discovered in the annals of Quedlinburg in 1009, where the story describes how Saint Bruno was killed by pagans “on the border of Lithuania and Russ.” Located on the eastern shore of the Baltic Sea, her neighbors are Latvia to the north, Belarus to the east and south, and Poland and the Kaliningrad region of Russia to the southwest. Lithuania is a beautiful country, known for its gently rolling hills, vast forests, rivers, streams and nearly 3000 lakes. Although considered to be a country in northeastern Europe, scientists discovered in 1989 that the geographical center of Europe is in Lithuania, so Central Europe is a more accurate description. Lithuania is the largest of the Baltic States. Lithuania has an intriguing yet painful past. Between the 14th-16th centuries, Lithuania was the largest and most powerful empire that dominated Europe. It was known as the Grand Duchy of Lithuania. It then became part of the Polish-Lithuanian confederation for the next couple centuries. After losing a series of wars, the country was partitioned and annexed by Prussia, with Lithuanian lands falling under Russian rule. Lithuania had a brief period of prosperous freedom, in between both World Wars. However, during both wars, and after World War II, there was tragedy. Lithuania was occupied, once by Nazi Germany, where nearly 200,000 Jews were murdered during the Holocaust. Then Lithuania was occupied twice by the Soviet Union. Both powers committed unspeakable genocides. The horrendous Soviet occupation lasted for 45 years and ended in 1990. During this brutal period, hundreds of thousands of people, including the intellectual elite, were murdered, tortured or expelled to Siberia in cattle carriages. The Russians banned the Lithuanian language and suppressed the Catholic religion. These occupations have left deep psychological and spiritual scars on the nation. Lithuania was the first Soviet controlled country to declare independence on March 11, 1990, despite continued Soviet aggressions. This act, among others, ultimately led to the collapse of the Soviet Union in late 1991. Lithuania was part of the Baltic States that made the human chain of some two million people, all holding hands for freedom. Since declaring independence, Lithuania has worked diligently to move from a centrally planned economy to a free market economy. Lithuania became part of NATO and the European Union in 2004. They just became part of the Euro (currency) in January of 2015, after all the requirements were met to do so. During Russification, the Lithuanian people managed to secretly keep their cultural heritage alive. They snuck in books to homeschool their children and sang many folk songs. Today, Lithuanian is the official language, which is said to be more ancient than, Greek, Latin, German, Celtic and Slav tongues. The language belongs to the Indo-European group, nearest to Sanskrit. It may be the most ancient of all living languages. Belarusian, Polish and Russian are also spoken. The main religion in Lithuania is Roman Catholic, along with some strong pagan beliefs. There is a remarkable and sacred site in Lithuania called the “Hill of Crosses.” It has been leveled numerous times over the years but today it is home to over 100,000 crosses of all shapes and sizes, left by people seeking peace and spirituality. The site was visited by Pope John Paul II in 1993, which made a profound impact on him. After visiting and holding mass at the site, he had the Franciscan monastery built near the hill. The tradition of leaving crosses on the hill began back in 1831 to remember the rebels that fell during that uprising and has continued on ever since. The Hill of Crosses remains a pilgrimage of sorts and a popular tourist destination. The cross making craft in Lithuania is listed in the UNESCO Intangible Cultural Heritage list, which managed to survive even under the strict Soviet power. Lithuania has many cultural traditions, a couple fun ones are when a couple gets married, the parents meet the newlyweds at the door with bread, salt and wine glasses, filled with water. The bride and groom have to buy their way through a succession of ropes of flowers that block their way home from the ceremony. They must pay with candy or whisky. Another different tradition is during Easter. The bunny helps decorate the eggs, but it is the Easter Granny, not the bunny, that delivers them. The Lithuanians have many festivals and they include their love of song and music, as well as the changing of the seasons and harvests in them. Of course they celebrate all the Christian holidays as well. Agriculture has always played an important part of the Lithuanian economy. Today, as the economy grows in other directions, many people who live in urban areas own or rent small gardens on the outskirts of the city to grow food and enjoy the outdoors. Lithuania has magnificent forests of oak, pine and spruce, which cover about one-third of the land. They have implemented laws to protect their beautiful natural resources. She holds a rich array of flora, fauna and an amazing assortment of fungus, more than 4000 species are found in the forests. Foraging for mushrooms is a very popular pastime, especially in the fall. Lithuania is also home to 321 bird species. The national bird is the white stork. They have over 13,000 pairs; the highest density in the world. Lithuanians believe that storks bring harmony to the families on whose property they nest. They also have kept the tradition of telling their children that storks bring babies. Stork day is celebrated every March 25th. As we look into the cuisine of Lithuania, it features items that grow in the cool and moist, northern climate. Potatoes, rye, beets, cabbage, greens, berries and mushrooms are abundant. 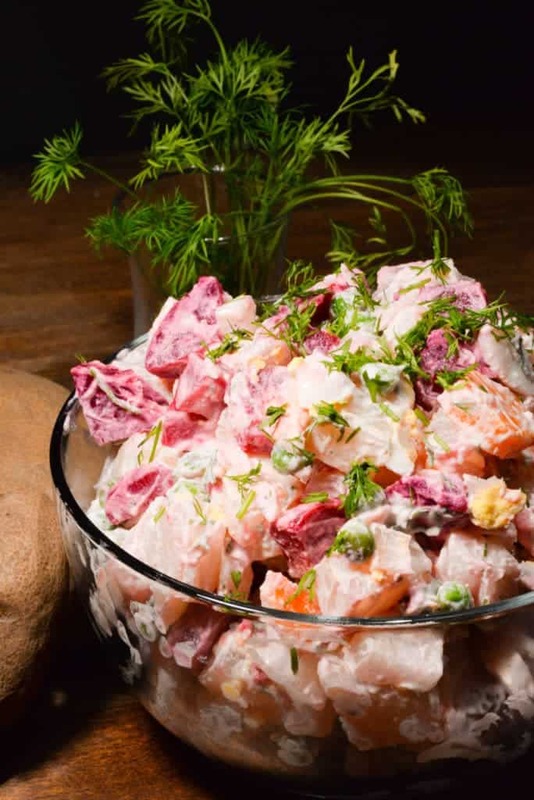 The cuisine is similar to its Baltic neighbors and because of its history, shares traditions with Polish and Ukrainian foods, dating back to the golden era of the Grand Duchy. German and Russian influences are also common. The most common seasonings in Lithuania are dill, caraway seed, garlic, bay leaf and juniper berries. Generally speaking the food is mild, without much spice. Dark rye bread, and light wheat bread, are staples. Apples, plums and pears all grow very well and are the most consumed fruits. Pork, beef, lamb and chicken are the most commonly used meats; however, game meats are also loved. Bacon, smoked meats, ham and sausage are all popular. Dairy plays an important role in the cuisine; sour cream being by far the most prominent ingredient, as nearly every dish seems to contain at least a dollop. Vodka and beer are their favorite alcohols. Tea and coffee are both enjoyed as well. 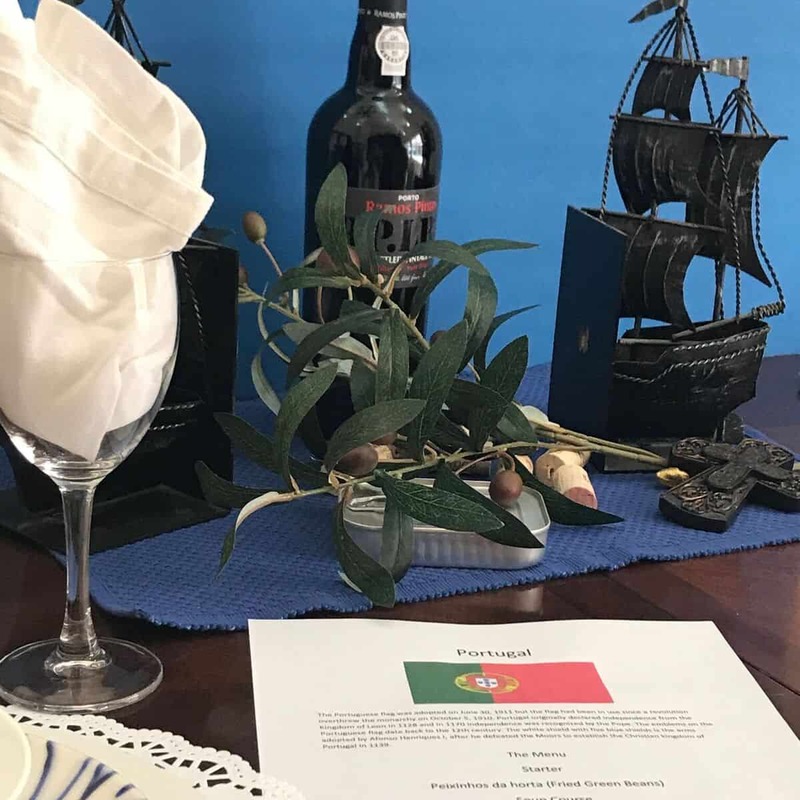 We set the table with the bright colors of the Lithuanian flag; yellow, green and red. A couple of storks, along with the symbol of the Gedimino Pilis, were also used. The Gedimino Pilis holds huge significance to Lithuanian culture, as the building symbolizes the establishment of the capital city Vilnius, back in 1409. The building was erected, after being inspired by a dream Duke Gediminas had, and still stands today. The Coat of Arms was also used, as it represents the Grand Duke of Lithuania. It is called the Vytis which means, white knight. 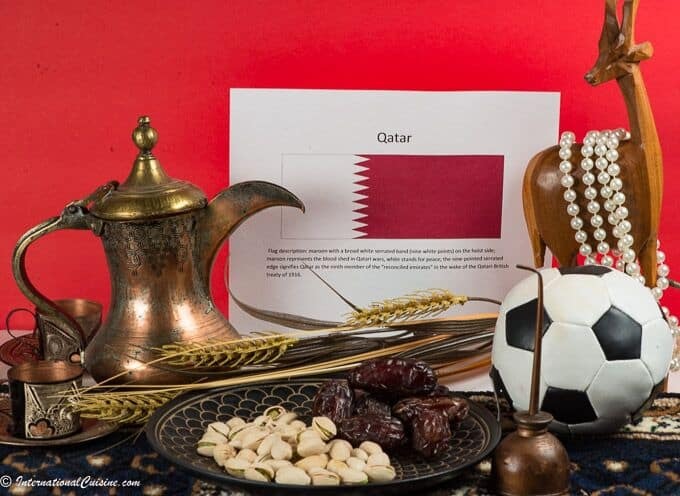 It is a historical symbol used on coins, postage stamps and official documents. Lastly, a perfume bottle was placed to represent the scent of Lithuania; the only country in the world that has produced a national scent. It is made with hints of wildflowers, ginger, sandalwood, raspberry and musk, just to name a few. They even send this scent to their military personnel serving overseas so they can always feel close to home. We ate continental style, as is customary there, with the napkin left on the table, not in the lap. 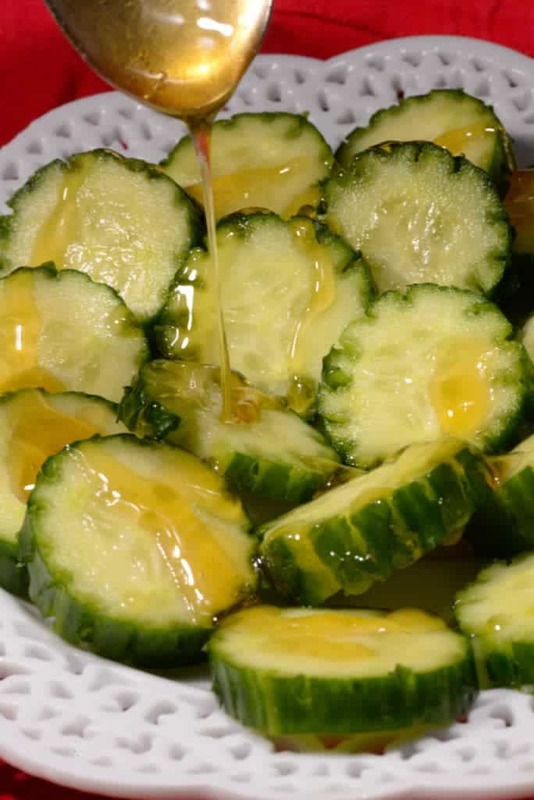 Our first course was a super simple appetizer dish, made of slices cucumbers and drizzled with honey. I would have never dreamed up this combination but it is surprisingly delicious and refreshing. This was invented by Jogaila, Grand Duke of Lithuania, from the Gothic period. The tasty treat has since spread to Poland and other eastern European countries. Next were three dishes served all at once. It is important to just take a small portion of each dish and finish it, as it is considered rude not to accept a second serving. The food is hearty and all very tasty. The cabbage rolls are not unique to Lithuania but certainly a much loved staple food. 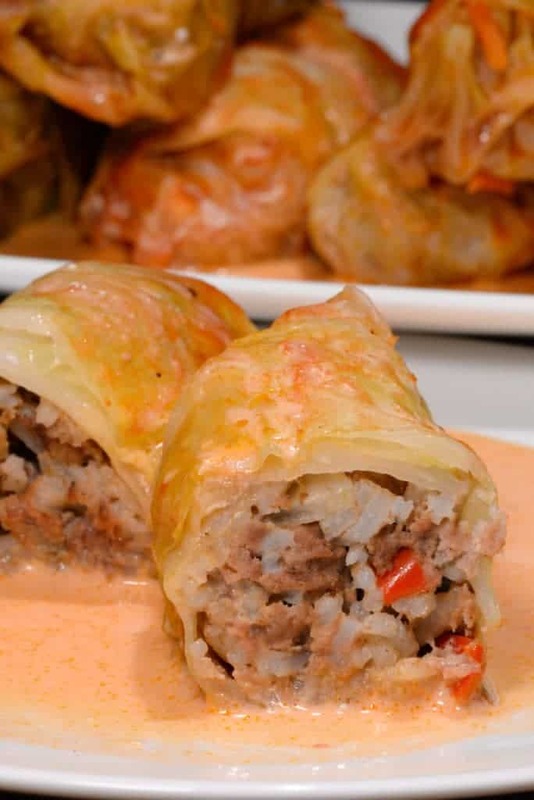 They were made with minced meat, seasoned with onions and bell peppers and wrapped in cabbage leaves. These yummy packets are cooked in a tomato sauce with sour cream. The cabbage rolls were served also with Kugela, which many consider to be the national dish of Lithuania. 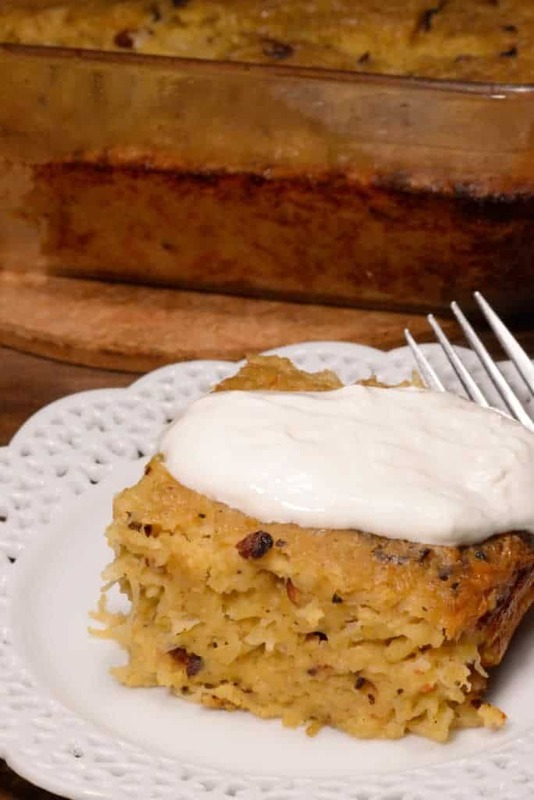 This is a grated potato and onion dish with bacon and the drippings, cooked until golden in the oven and topped with (what else but) a dollop of sour cream. A mixed vegetable salad was the third dish, very similar to potato salad. This had a variety of vegetables mixed in, including beets, carrots, peas and potatoes, which were dressed with sour cream and dill. It was served at room temperature and was one of the best salads we have ever had. We loved it! For dessert, a simple apple cookie was enjoyed with a cup of coffee, to complete our Lithuanian feast. 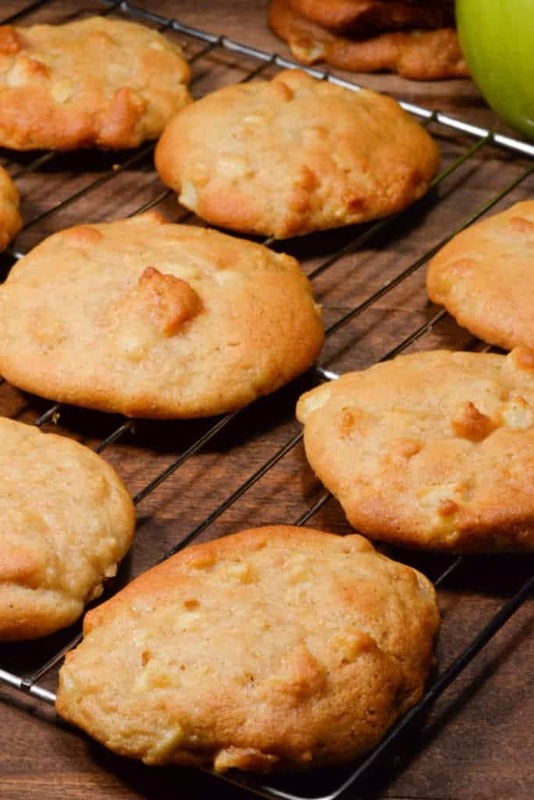 The cookie was incredibly moist, perhaps it was the sour cream in the dough mixture that made it magic. We ended our meal singing the national Anthem at 21:00 hour in Lithuanian time on July 6th. This is a tradition they just started in 2009, but hope to continue. July 6th is the State Day of Lithuania (the coronation day of the King Mindaugus). Lithuanians all over the world unite in song at this exact hour and we were happy to be a part of it. Then we were off to shoot some hoops, as basketball is their most popular sport.